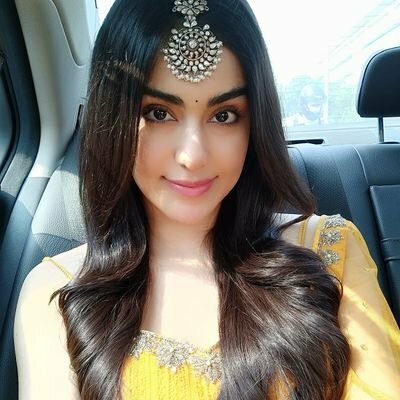 Adah Sharma is a 26-yr-old Indian actress who has appeared in many Hindi and Telegu films. She made her Bollywood debut right out of high school, at the age of 16. Her debut project was the horror movie 1920, in which she portrayed the lead role. She even earned a nomination for the Filmfare Best Debut Female award for 1920. Adah soon ventured into South Indian cinema and gave many critically as well as commercially successful performances. Well, Adah portrayed the role of inspector Bhavna Reddy, the lead opposite Vidyut Jammwal’s character. Remember her? We are sure you do now. Remember how Bhavna initially was a dirty cop who loved branded/ imported products more than serving justice. But after the dust settled she turned out to be a true cop. Well, it seems like her performance was impactful enough to help her march into the next Commando movie. Yes, Adah is now a part of Commando 3 which is set to release next year. And believe us when we tell you that she is much hotter than she was in the movie. Rocking the cover of the Man Magazine’s April ’18 issue. Adah’s sizzling hot bikini shot atop a yacht! Adah looking mesmerizing in this behind the scenes shot from the Man Magazine. Doesn’t Adah look super hot in this navy monokini? This hair color sure brings out the quirky side of this young actress. A fan called Adah the Indian Kylie Jenner in this shot, do you agree? Kick-starting the shoot for Commando 3. Now don’t you agree that Adah Sharma is definitely the hot diva we touted her out to be? Meet Shudu Gram, Fashion’s First Digital Model Who Is An Instagram Queen!